The article presents study with polyethylene glycol (PEG 4000) results with implementation of vacuum drying in low temperature. 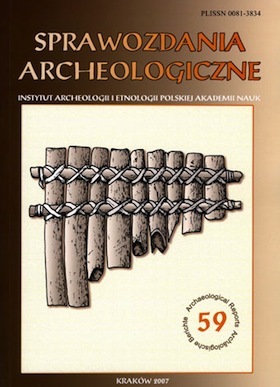 The works were performed by the 'Pracownia Konserwacji Zabytków Instytutu Archeologii' and 'Zaklad Fizyki Technicznej oraz Zastosowan Fizyki Instytutu Fizyki UMK' in Torun. During studies artifacts made of various kinds of wood were used: maple, hazel, birch, willow, linden, elm, oak, pine and spruce. The best and long lasing drying results are obtained in vacuum. The crucial matter is proper vacuum parametric selection for particular material and impregnants. Drying in vacuum has only advantages, first of all, time saving and avoiding microbiological danger - during vacuum drying that problem disappears completely. Applying PEG 4000 for wet archaeological wood we have possibility of substantial strengthening its structure, because we introduce from 50% to 70% of impregnant into the object. After treatment the wood is hard, dark but the most often its rings are clearly seen and has wax surface. The objects' shapes are usually preserved what is presented in photos. Cylindrical shapes do not deform.